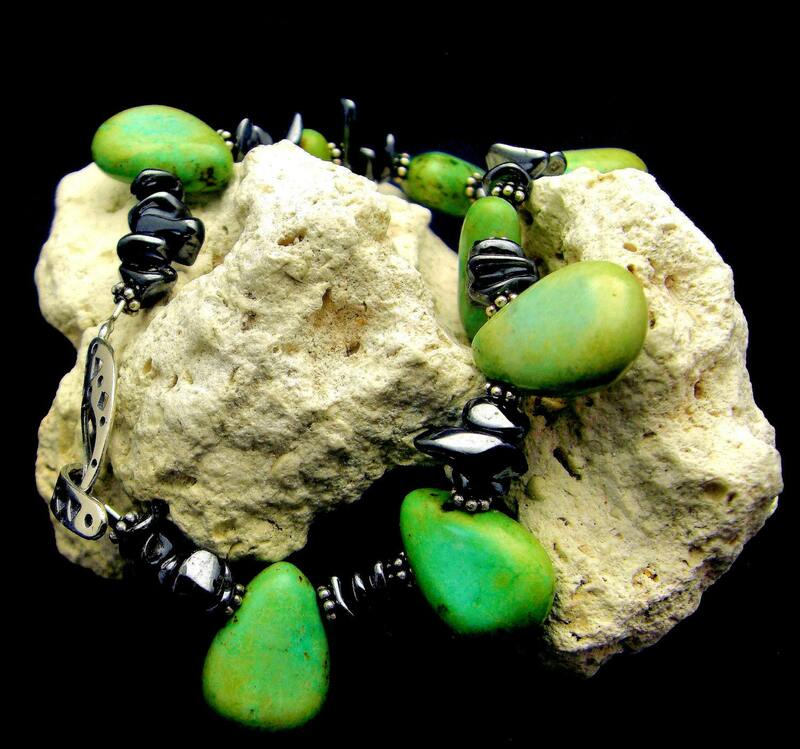 LOTUS - is a single strand bracelet featuring natural Arizona Green Turquoise and polished Hematite. 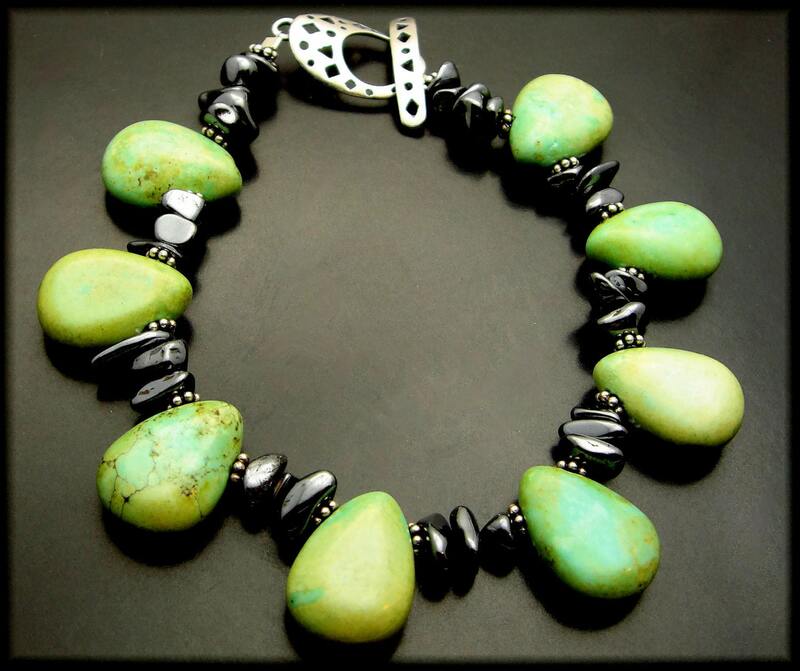 It measures approximately 8 inches in length and finished with a fancy sterling silver Hill Tribe hand carved toggle clasp. If you have questions please contact me. 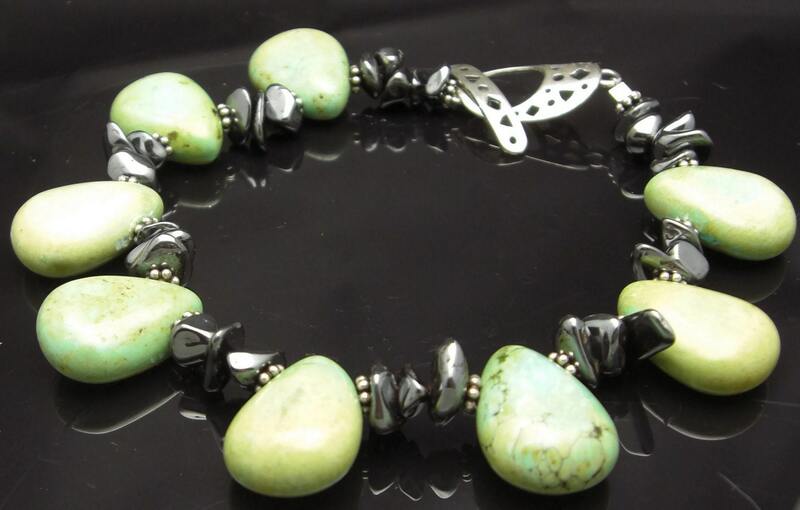 Your artisan jewelry will arrive boxed and gift ready. Payment Policy: I accept Visa and Mastercard as well as through Paypal. All payments are in US Dollars. Shipping and Handling: I ship via Canada Post. Domestic shipping First Class mail. Other shipping methods available upon request. Return Policy: If you are not totally happy and satisfied with your purchase I will refund your payment no questions asked. You must contact me the day of receipt for an RMA (return merchandise authorization) number. Items must be returned in the original packaging and same condition as received within THREE (3) days of receipt and provide the tracking number for verification the day it is shipped. When the item is received as stated, your payment will be refunded via the method of payment. Please Note: There will be a 10% restocking fee and return shipping is non-refundable.